“The most prevalent seafood supply chain is the shortest one: from the ocean to the plate. And that’s the one we have the least information on,” said Nereus researcher Jack Kittinger. 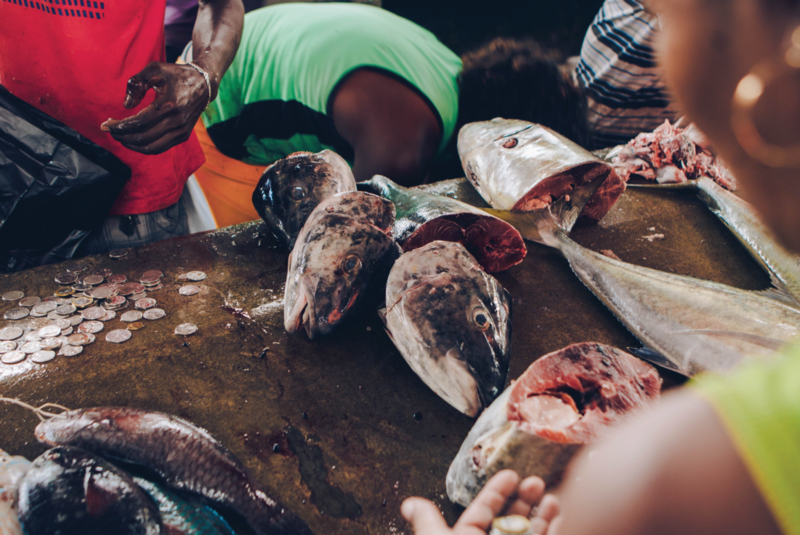 Small-scale fisheries are vital to coastal communities around the world, but their contributions to global harvests are severely underestimated. This means policymakers often overlook the social, cultural, nutritional and economic contributions to the people and communities small-scale fisheries support. Duke University, the Food and Agriculture Organization of the United Nations (FAO) and WorldFish have collaborated to plan a global study of small-scale fisheries to fill the knowledge gaps that render them invisible in the eyes of policy-makers. 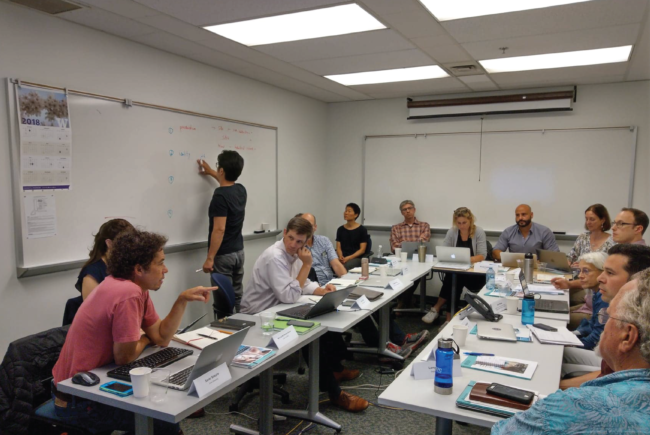 The workshop was a vital part of the study development process, tapping the pooled knowledge of 20 experts to ensure this study provides a comprehensive picture of the role of small-scale fisheries in society. At the Nereus Program, we look forward to continued collaboration with all of the excellent institutions involved. 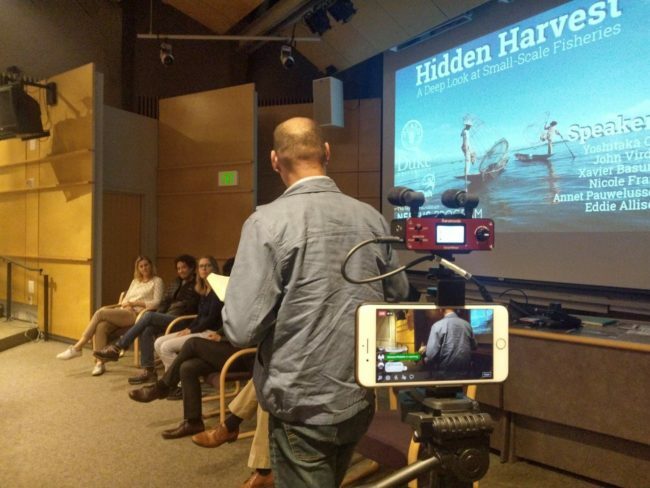 Small-scale fisheries experts participating in a live-broadcast panel discussion. Click photo to watch lecture. What to learn more about small-scale fisheries? Watch this video!